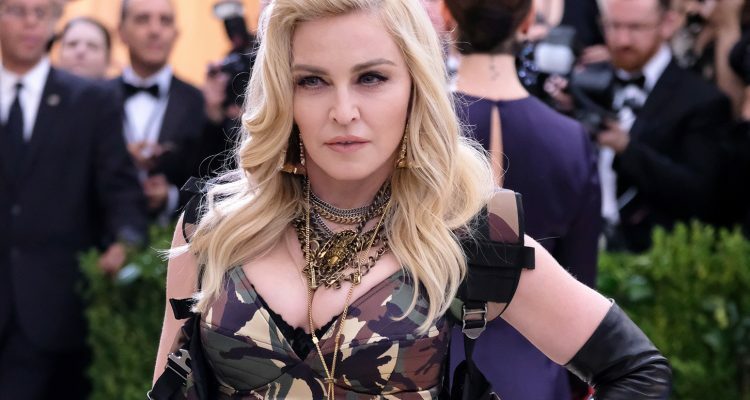 Madonna announced her long-awaited return to pop music on Sunday, unveiling a mysterious Instagram video that confirmed Madame X is the name of her upcoming album. The 60-year-old revealed the new concept on social media Saturday (April 13th) with ensuing speculation around whether the name corresponded to an album, persona, tour, show, political rally, etc. The stylized clip sees the Grammy-winning singer using a typewriter while wearing elaborate costumes as she takes on Madame X‘s namesake persona, whom she describes as “a secret agent traveling around the world, changing identity, fighting for freedom, and bringing light to dark places.” Watch the teaser below. In March, she gave another sneak peek at what she has up her sleeve, tweeting a cryptic photo of a hand cutting an apple with the caption “A taste of things to come.” The pop culture icon confirmed that her new music was inspired by Portugal, where she lived throughout the process of its creation.